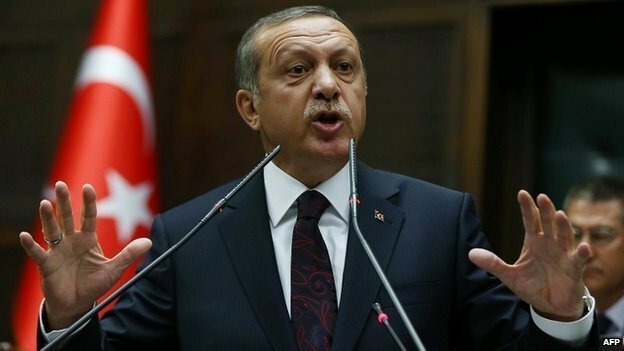 Police in Turkey have arrested a 16-year-old student on charges of insulting President Recep Tayyip Erdogan, according to local media. He was arrested on Wednesday after criticising the ruling AK Party during a speech at a student protest in the central Anatolian city of Konya. The teenager could face up to four years in prison if found guilty. Prime Minister Ahmet Davutoglu defended the arrest, saying the presidential office “needs to be shown respect”. 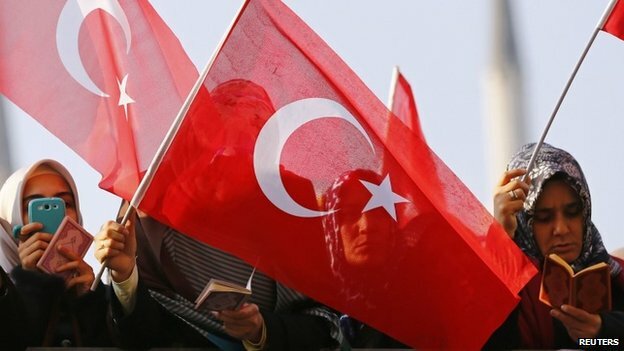 Turkey’s penal code makes it a crime to insult the president. The boy’s speech, given to commemorate the killing of a Turkish soldier by Islamists in the 1920s, was recorded on video and broadcast by Dogan News Agency. In it, he defends secularism and the principles of Mustafa Kemal Ataturk, the founder of the modern Turkish republic. He also singled out President Erdogan for criticism over recent corruption allegations, as the crowd chanted “everywhere is bribery, everywhere is corruption”. Hurriyet newspaper said the boy was believed to be a member of a leftist organisation, but he denies having links with any political party. The teenager has pleaded not guilty and his lawyers have lodged an appeal against the charges. The arrest sparked fierce criticism of Mr Erdogan with Attila Kart, a member of opposition party CHP, saying the president was creating “an environment of fear, oppression and threat”. Mr Erdogan, who was elected president in August after serving as prime minister for 11 years, has faced several corruption allegations in recent years. He insists they are baseless and part of a “dark plot” to oust him from power by influential cleric Fethullah Gulen, who is in self-imposed exile in the US. Earlier this month, police arrested more than 20 journalists working for media outlets thought to be sympathetic to the Gulen movement. A Turkish court has also issued an arrest warrant for Mr Gulen himself, but correspondents say it is considered to be largely symbolic and unlikely to be acted upon.